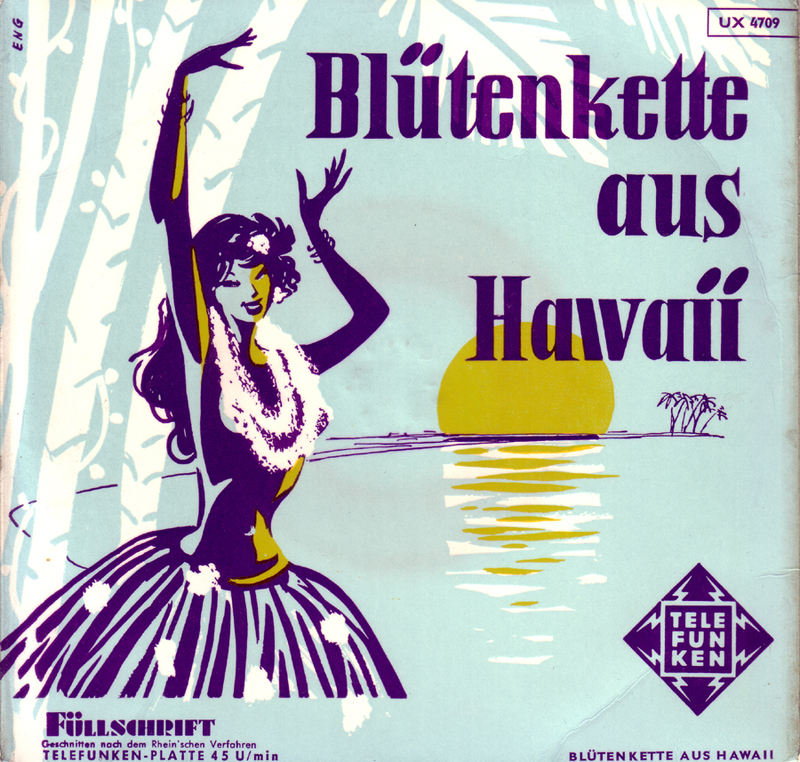 Instrumental German Hawaiian music played by Simon Krapp and his Hawaiian Orchestra and some Ah-Ha-Ha`s by the Ping Pongs for the budget label Baccarola. 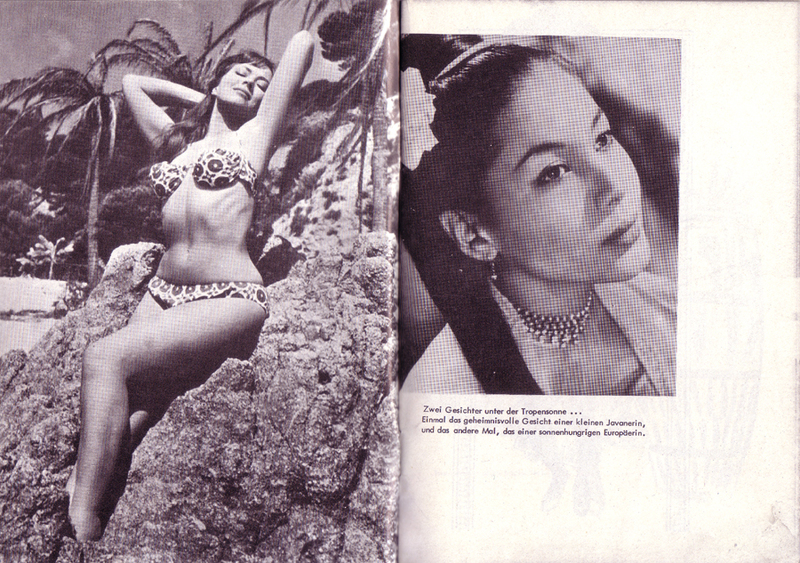 These photos are from the pin-up magazine TOP FIT #14 from the early 60`s published in Berlin-Wannsee. 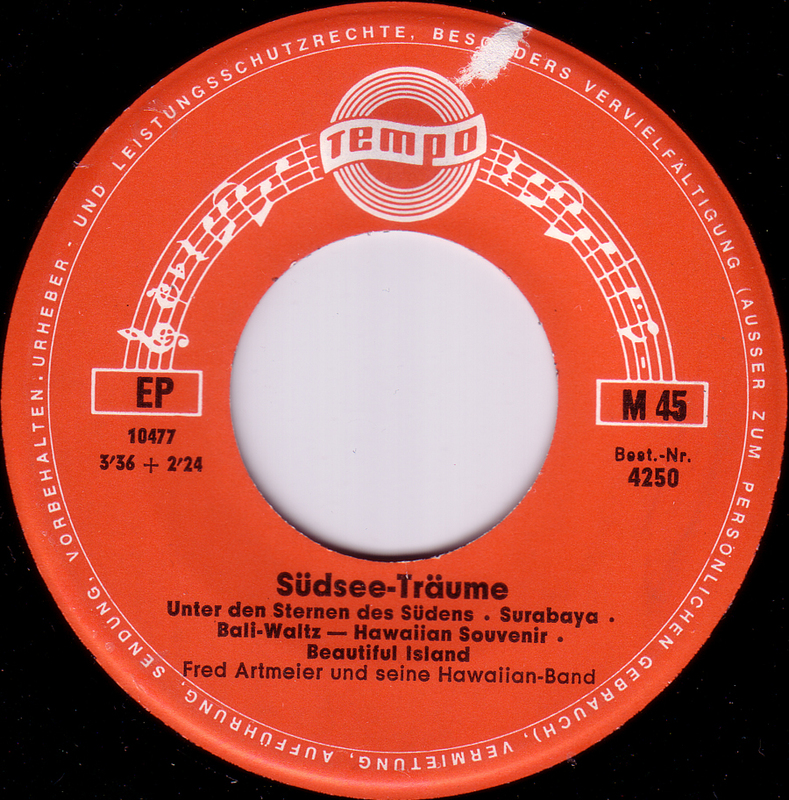 This was their special “Tropenzauber” ( tropical magic ) edition. 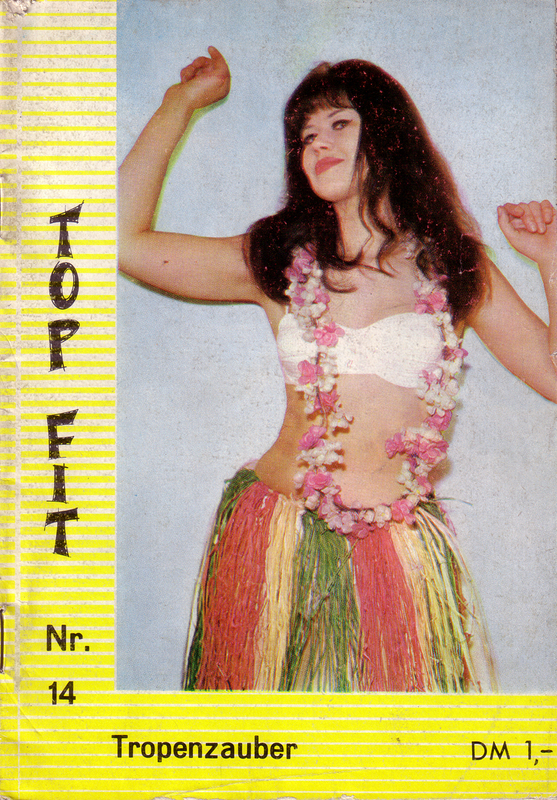 The Hula Hawaiians were a little more up-beat than most German Hawaiian bands. 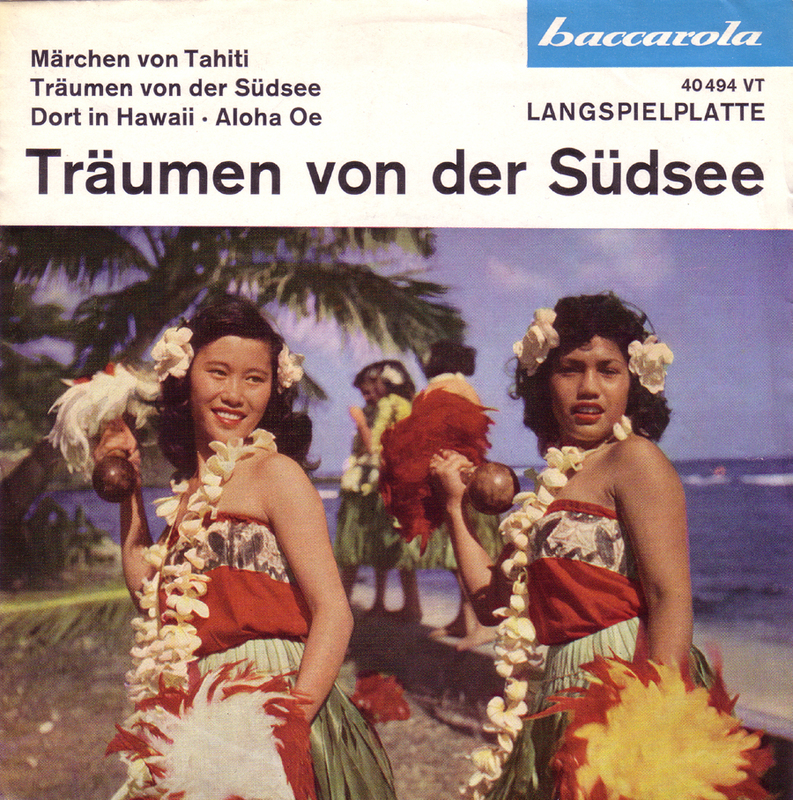 Maybe because they were from Switzerland. 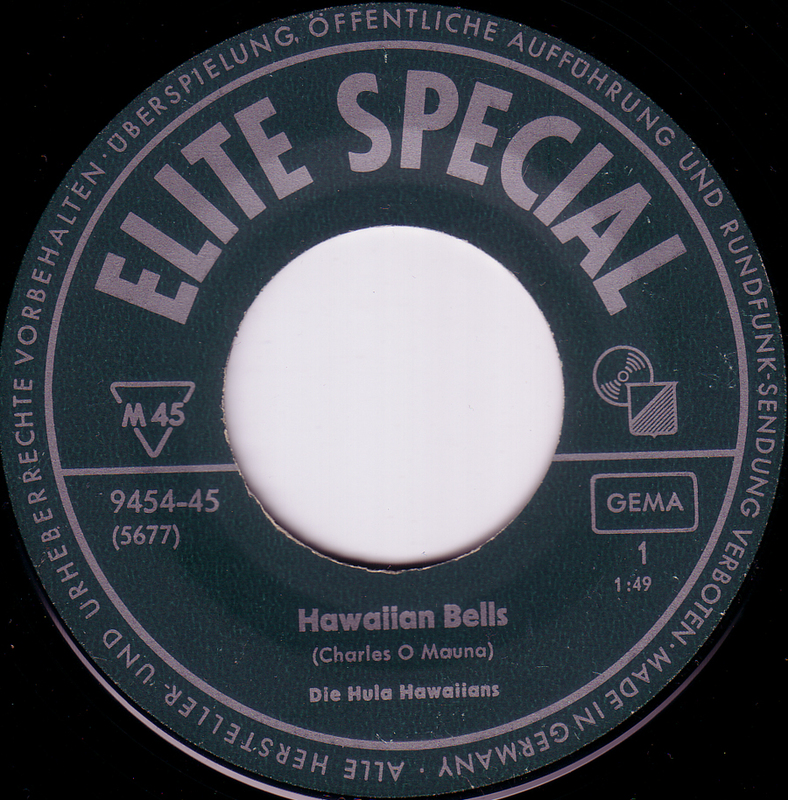 On the budget label Elite. 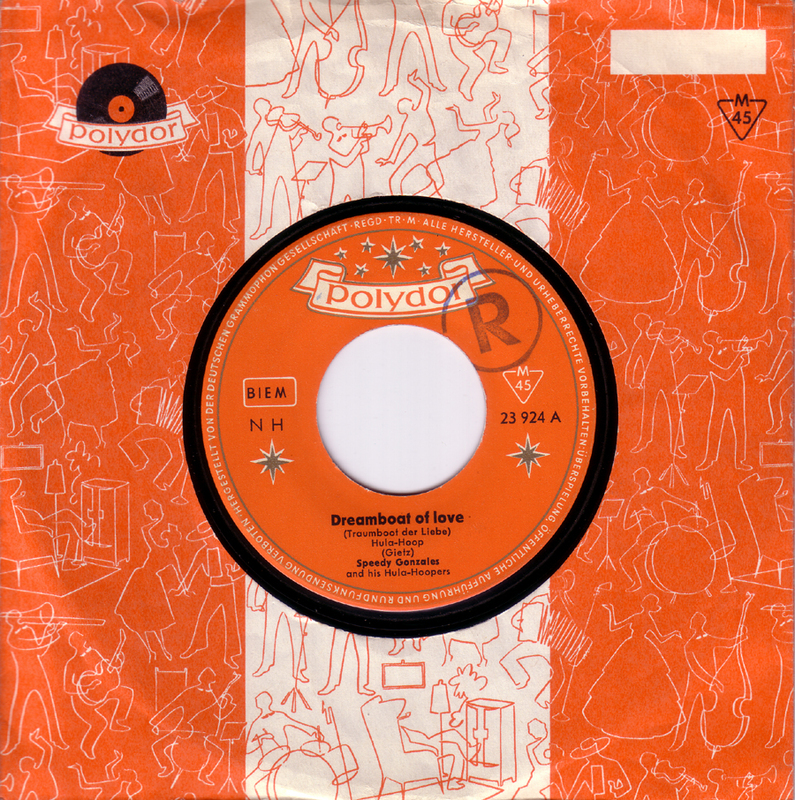 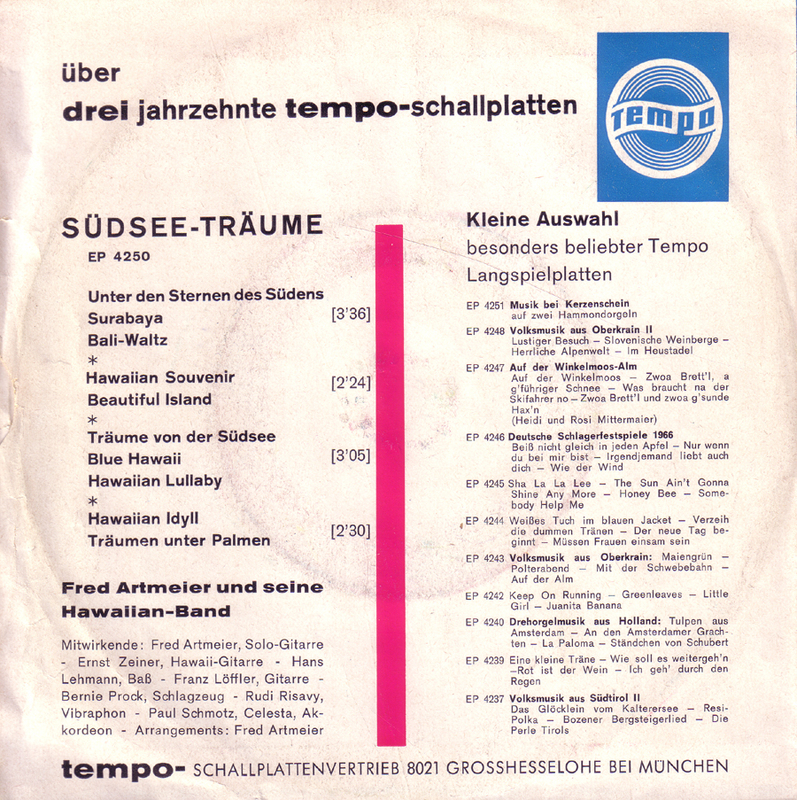 This is much better than what you would expect from the German budget label Tempo. 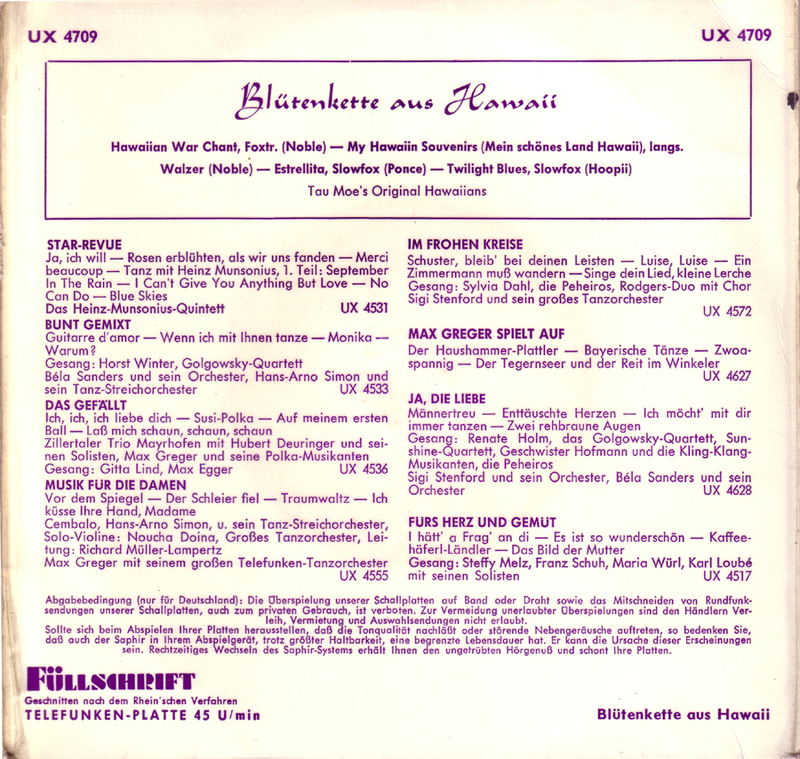 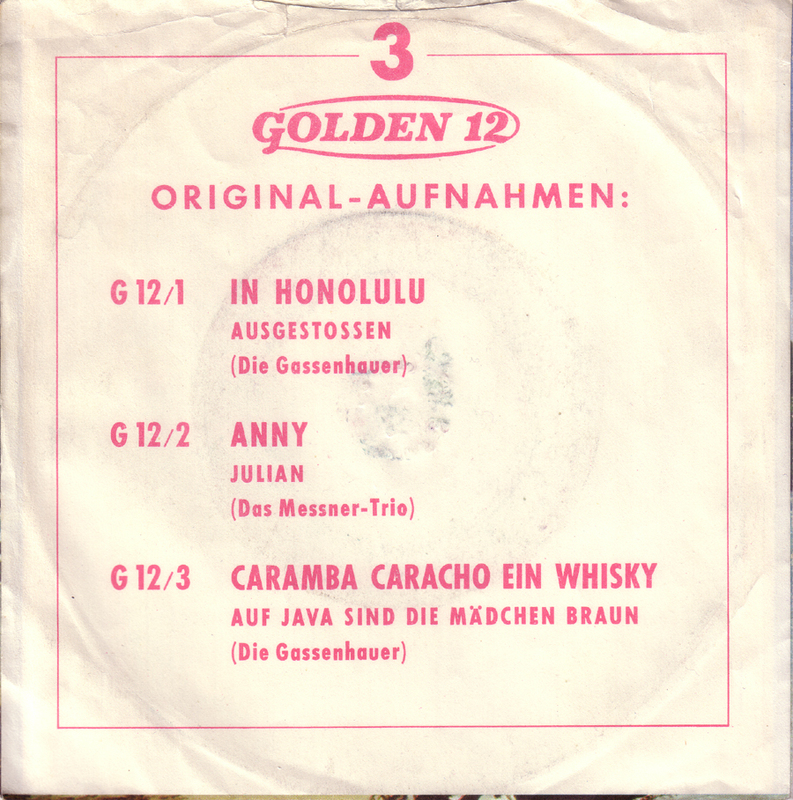 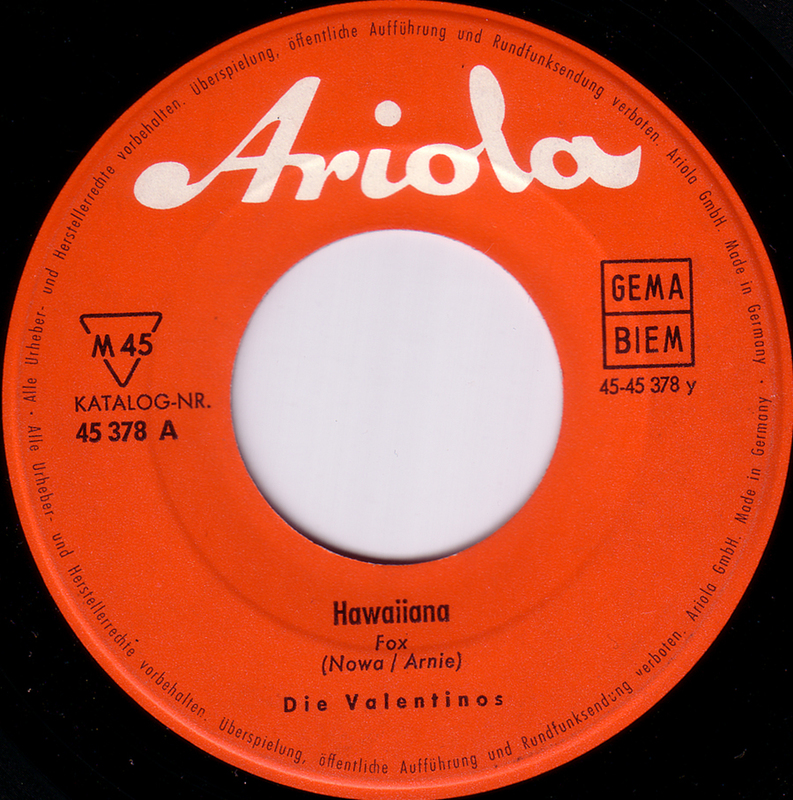 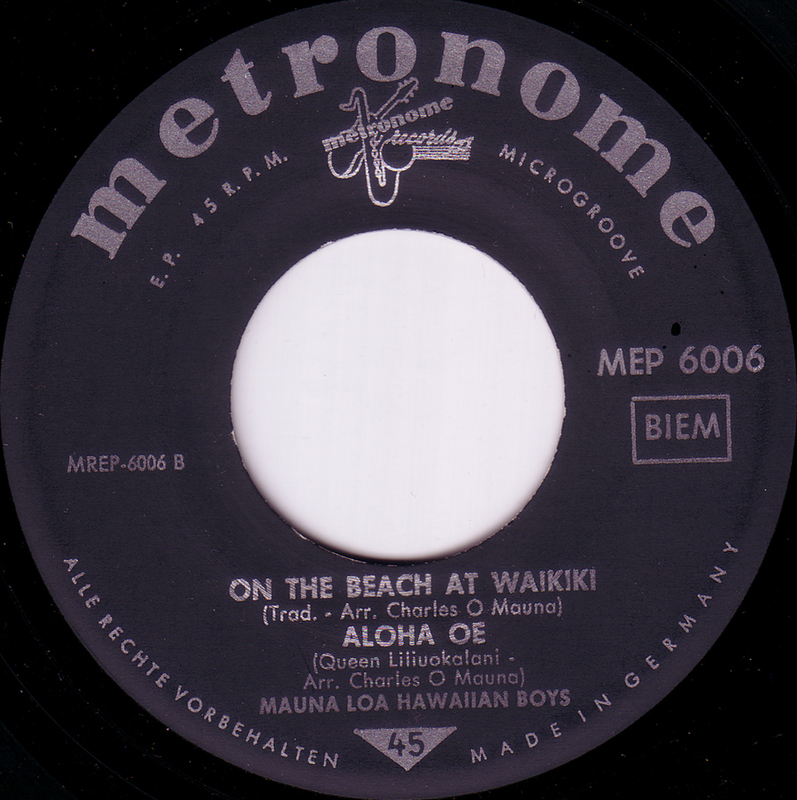 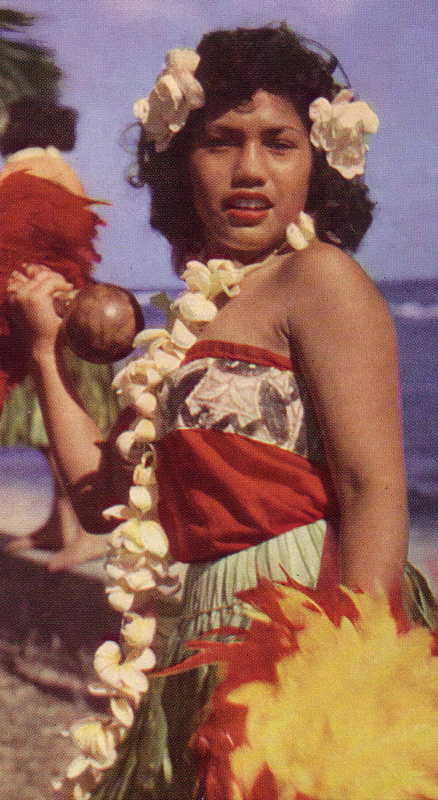 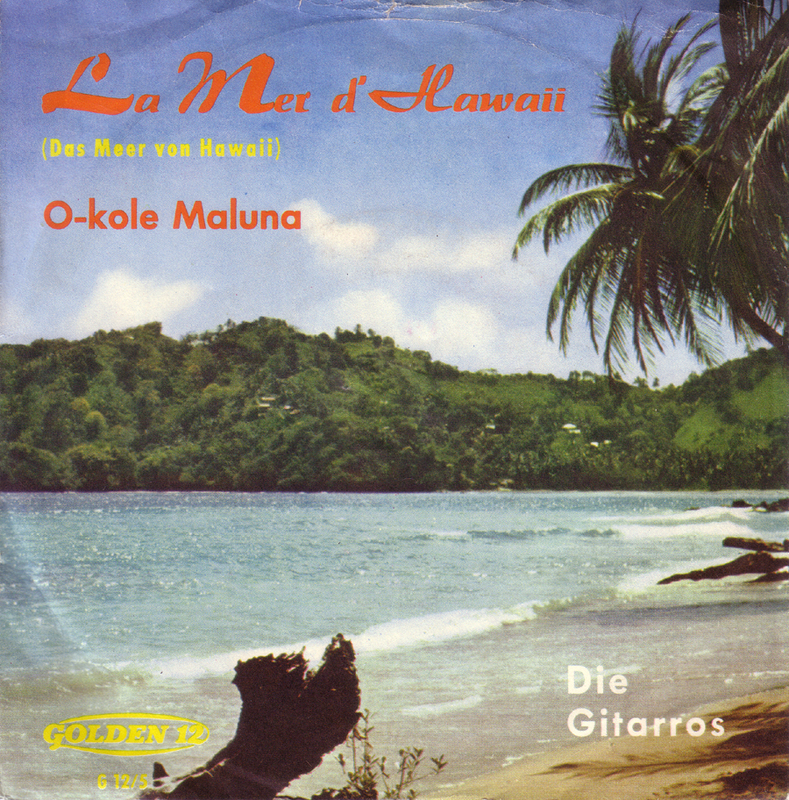 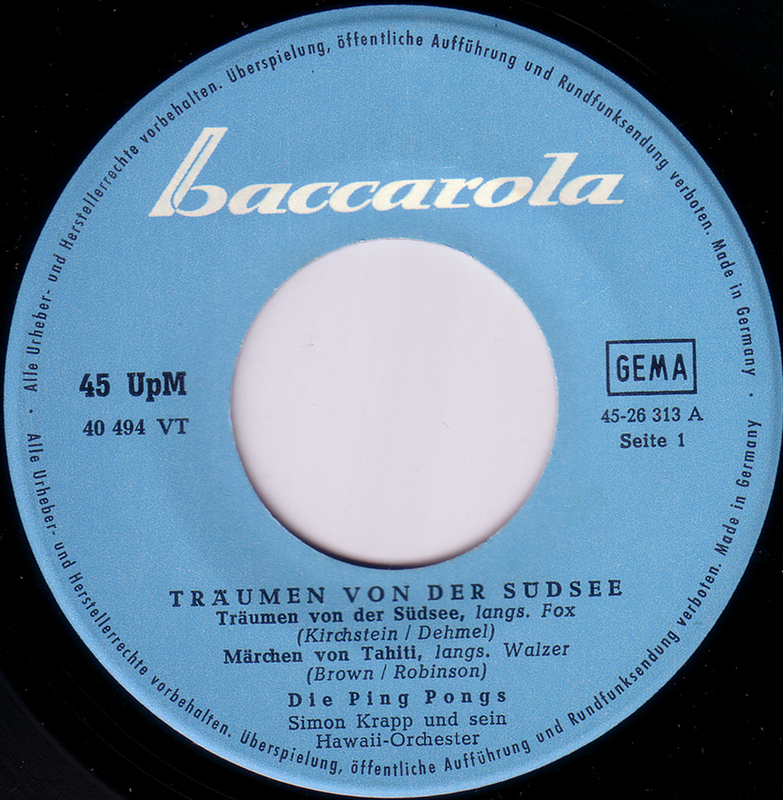 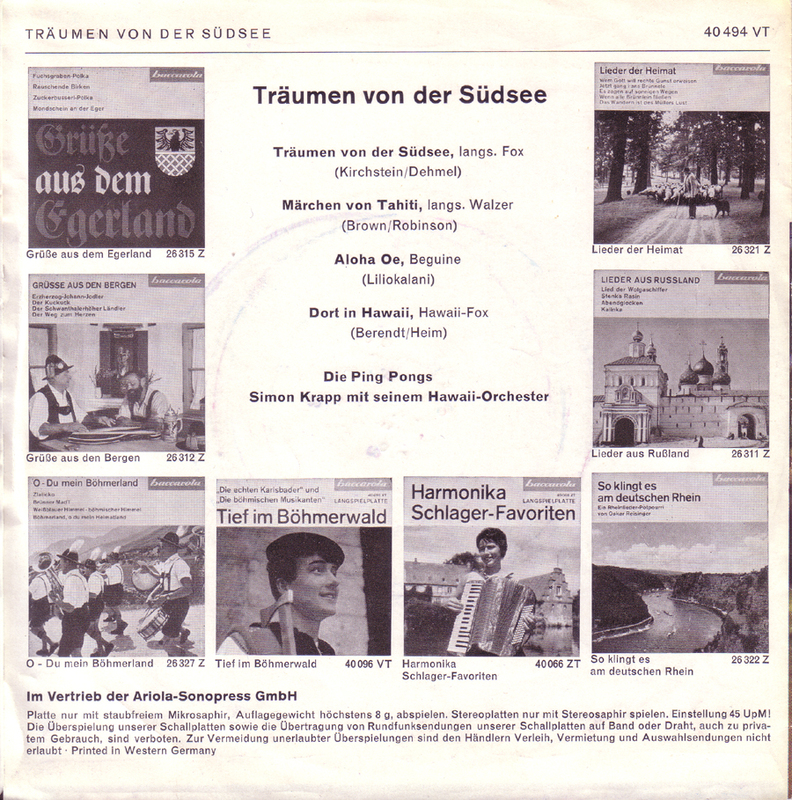 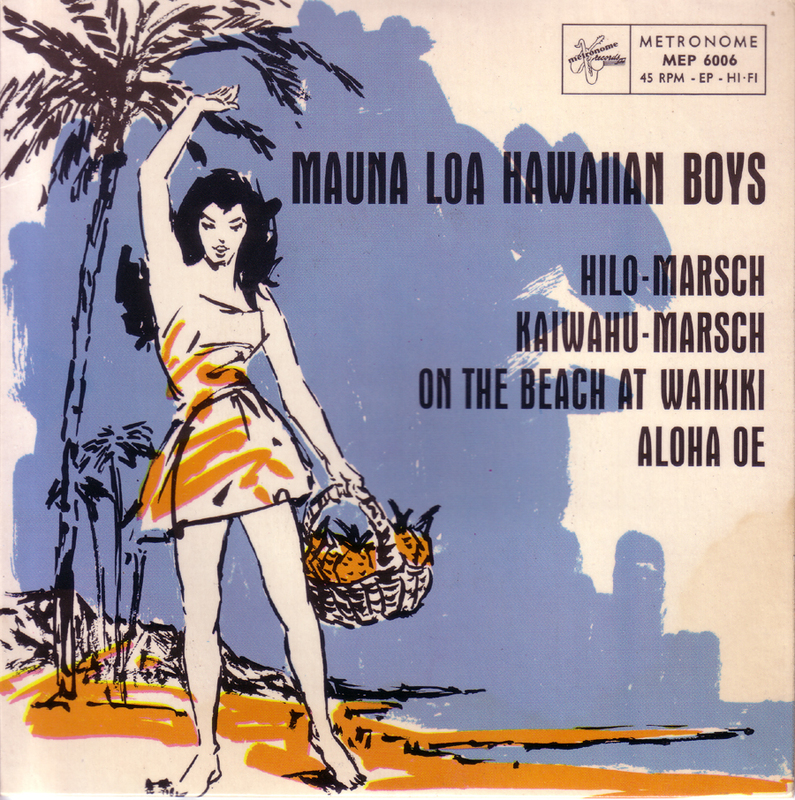 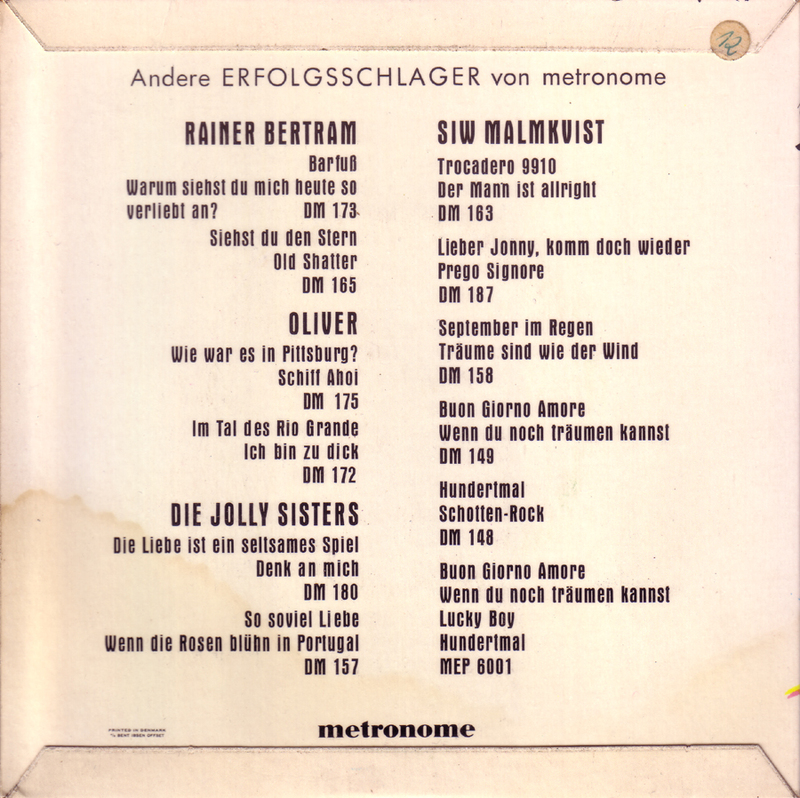 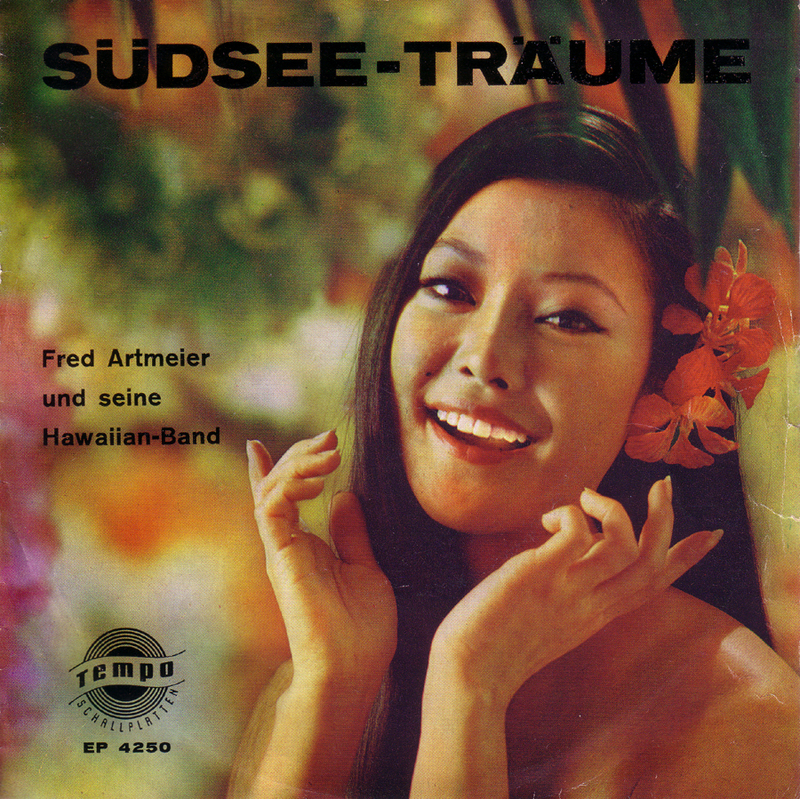 The four tracks are instrumental medleys of Hawaiian standards played in a quality similar to Werner Müller`s “Phase 4” recordings. 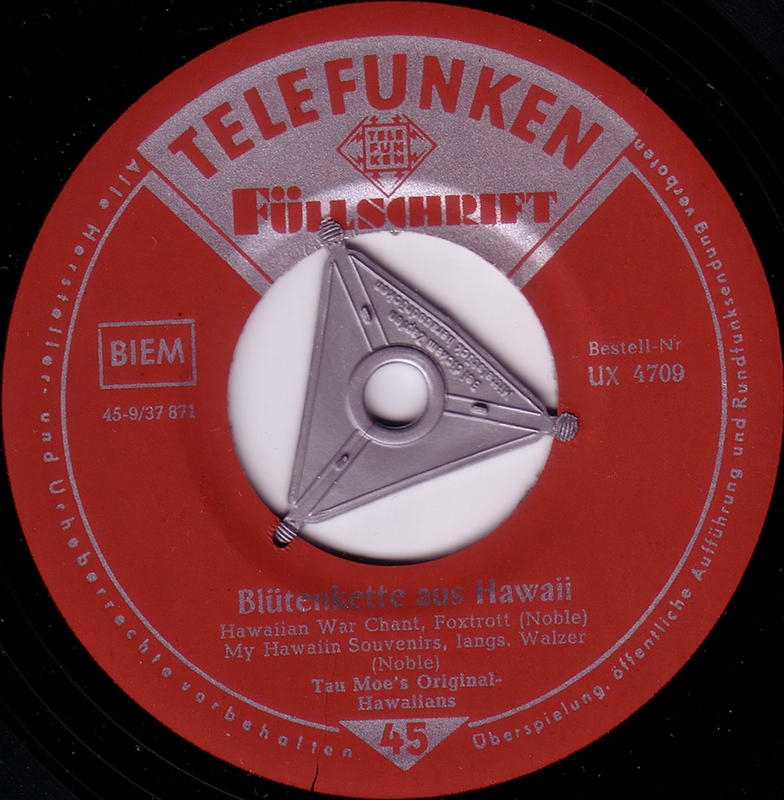 The band´s name and the music is more “original” sounding than the majority of the German stuff but they give it away once they start singing: “Mein schönes Land Hawaii…. 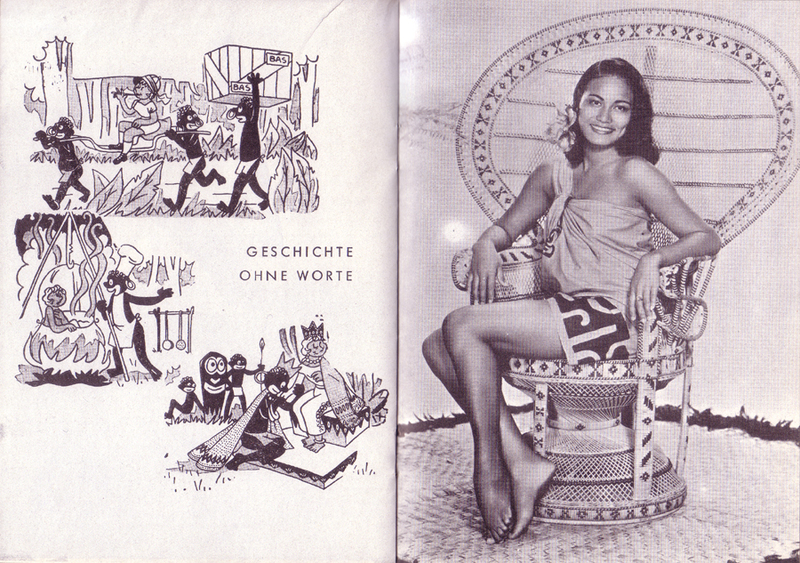 I don`t know anything about this group. 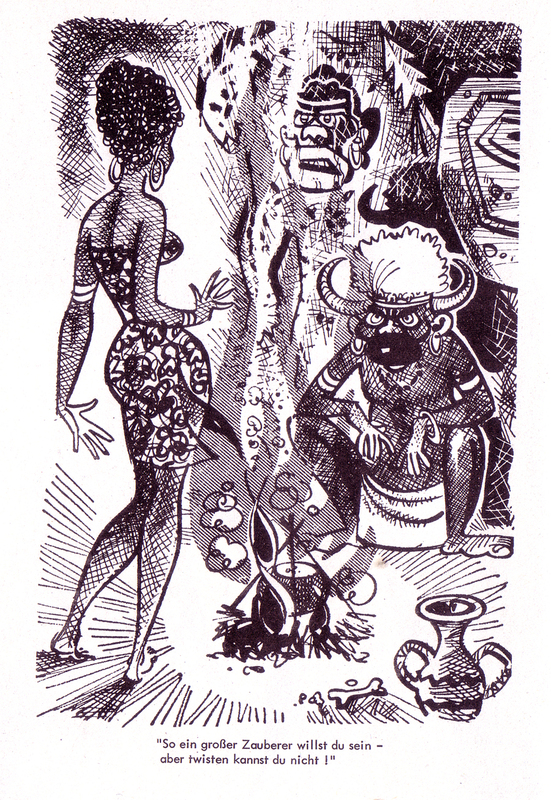 They could be from anywhere.